Graham Weale, Honorary Professor of Energy Economics at Ruhr University, Germany, analyses the lessons for Ireland in energy transition taking place across Europe and the USA. According to Weale, states across Europe must place more focus on the twin axes of decarbonisation and energy efficiency. “You can improve energy productivity and adopt the same process of measuring that increase in percentage every year, then you combine them. 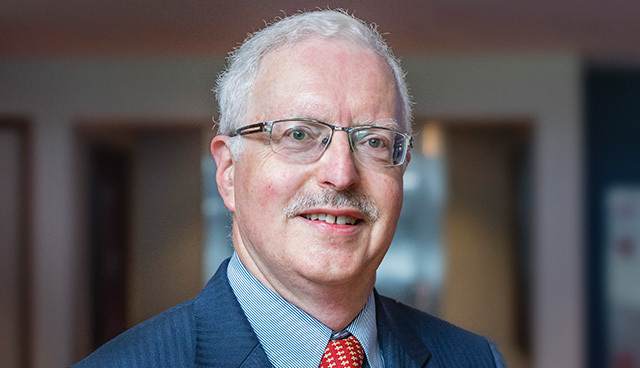 “Over recent years, even if you take the nationally determined contributions which would run until 2030, which different states have proposed, energy supply decarbonisation will remain at less than 1 per cent per year and energy productivity improvement will remain at less than 3 per cent per year,” says Weale, who suggests a dramatic changing in pace across all industries. For the purposes of comparing the international progress of decarbonisation, Weale uses some of the most prominent voices advocating a greener future as examples, with some cases displaying surprising results. Scandinavian leaders in the form of Denmark and Sweden are a prime focus of Weale’s analysis, and particularly how these states compare to other European economies such as the UK and Ireland, and further stateside in California. Divestment from fossil fuels and a noted swing towards investment in renewables has been hailed by Weale as a consistent feature of Scandinavian success. He praises Denmark and Sweden’s pushing out of oil and coal across numerous sectors in favour of biomass, PV and wind sources. Exchanging fossil fuels for renewables in tandem with strong environmental legislation can partly explain the eco-success of these countries, according to Weale. “Industry wise, Sweden is the clear leader. It has largely driven oil out, partly in thanks to their taxation of carbon. Sweden has offered a carbon price of over e100 euros per tonne, which has had a significant effect,” says Weale. Similarly, the employment of combined heating power plants in Sweden’s residential sector has been praised as a step in the right direction. If you look at energy transitions across different countries and ask the question “who’s paying for them”, the lion’s share, apart the United States, is paid for by household electricity consumers. “This is certainly an issue that needs addressing,” says Weale. Spain and Germany have seen the highest increase in prices, which Weale suggests can be explained by a love of automobiles and a general unwillingness to compromise. What I say to Ireland is, “go and visit those two countries, and look at the work they are doing. Look at their energy policies,” instructs Weale. “Sweden has followed the strongest energy policies and has been very successful. Initially it had a system of green certificates for renewables, so instead of installing, in parallel, different forms of renewable energy, it allowed economics to make the decision, which meant that for the first few years the initial emphasis was on biomass, followed by wind. “Denmark has had a very focused energy taxation policy and has had a high price. The concept in Sweden is that different sources of energy should be taxed according to where they are applied – so you’ve got one set of rules for transport fuels, and another for heating fuels,” explains Weale. “This creates a more logical sense of competition between the fuels, and avoids the disadvantage to electricity, which I see in Germany and other countries. Energy taxation is vital so that electricity and heat become competitive. Invest in electricity market design for higher efficiency. Track where money is being spent and measure the benefits.